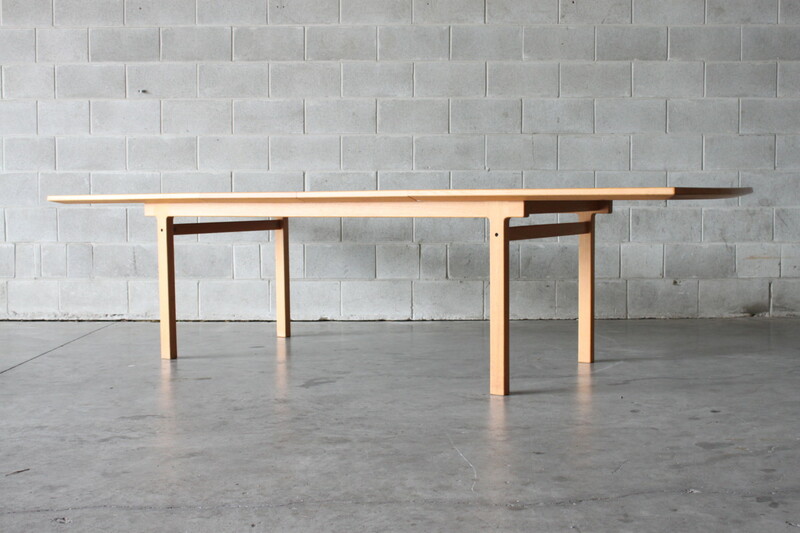 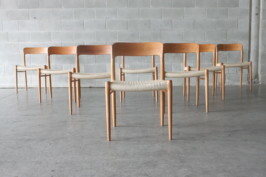 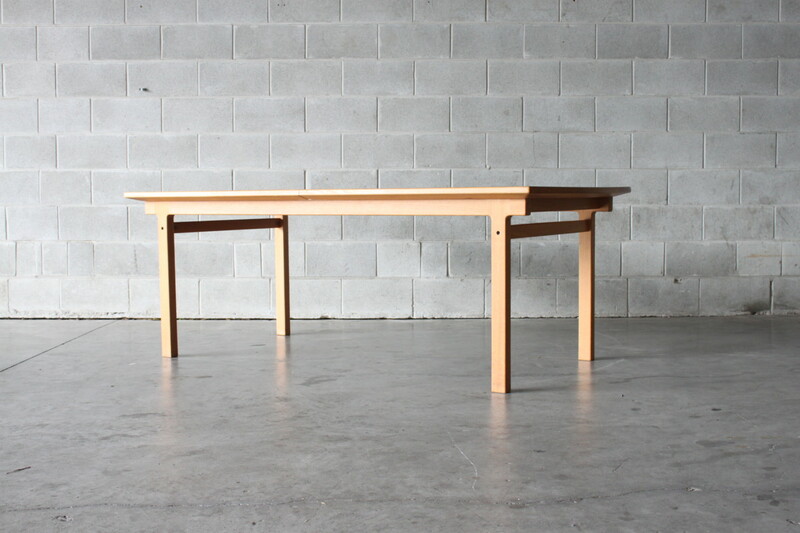 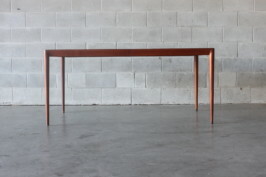 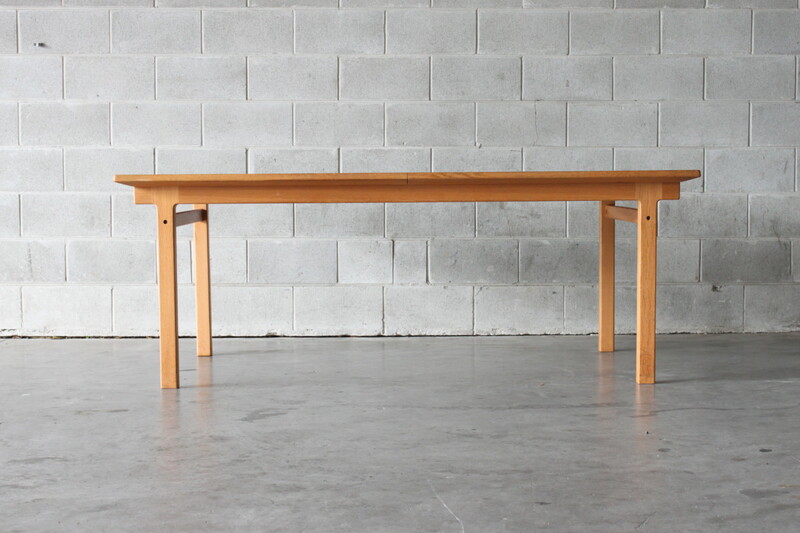 A large extendable dining table by Kurt Ostervig in blond oak. 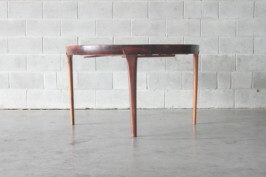 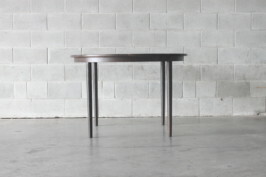 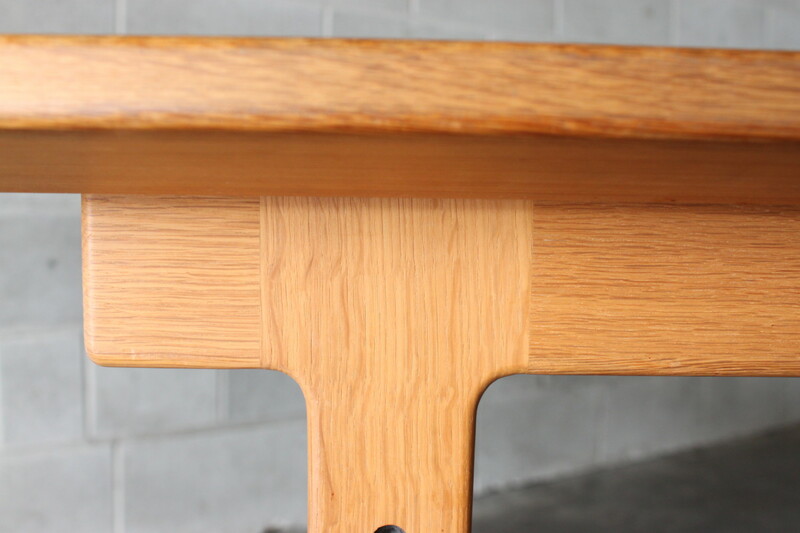 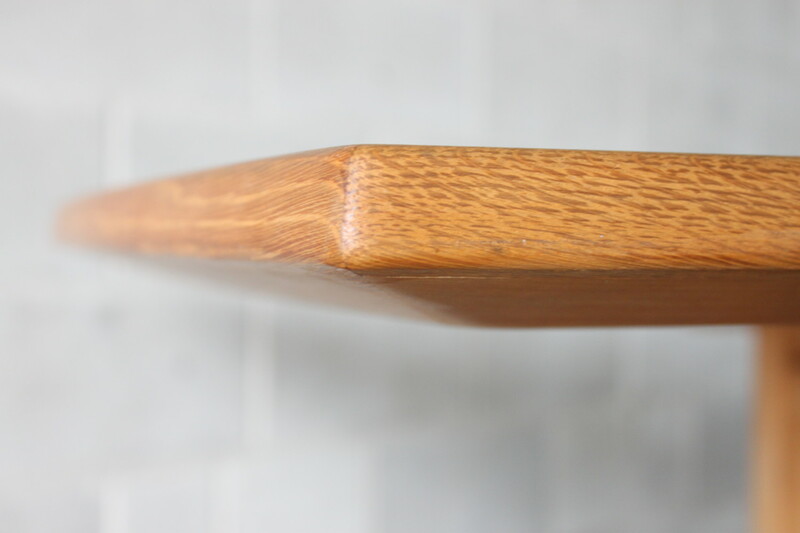 Quality construction can be seen throughout this table with nice detailing to the legs and deep bevel under the table top. 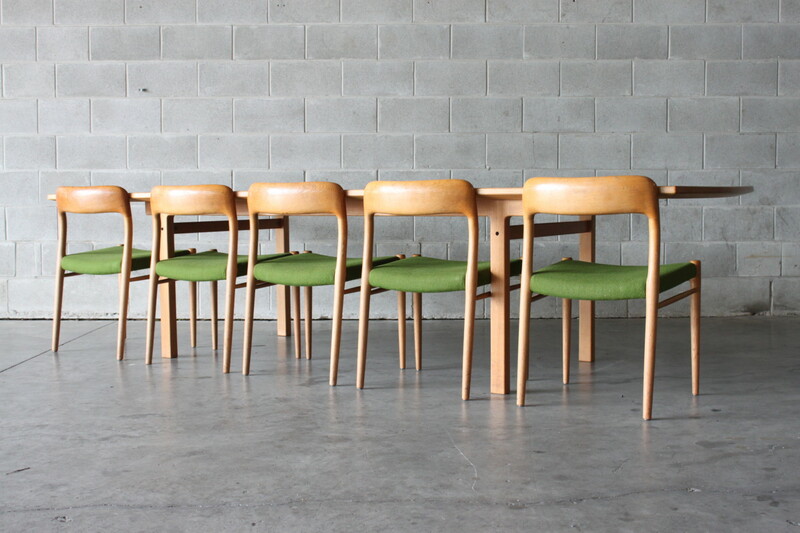 It seats eight people in compact form and extends to a large three meters in length capable of seating a dozen diners easily. 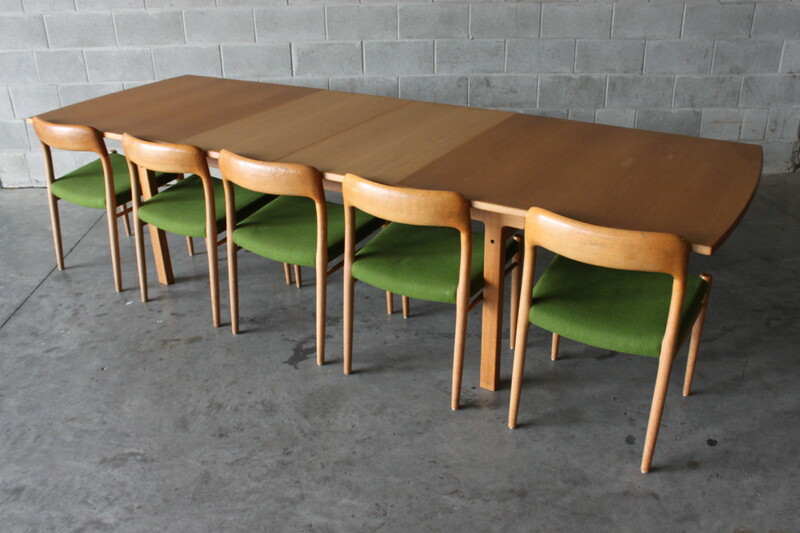 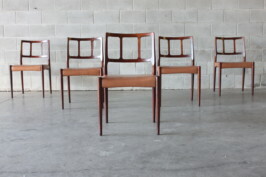 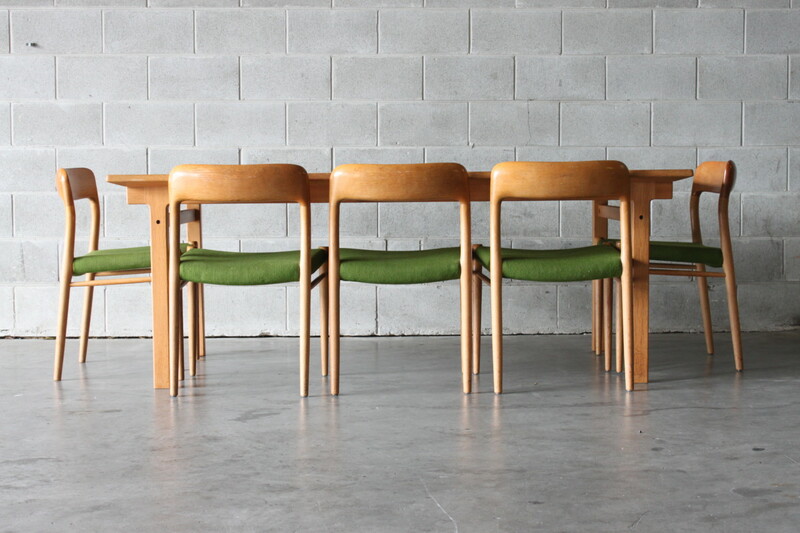 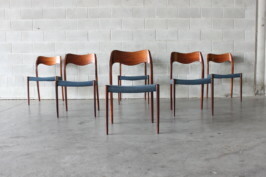 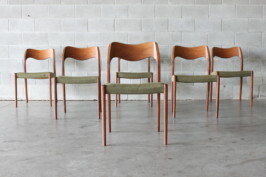 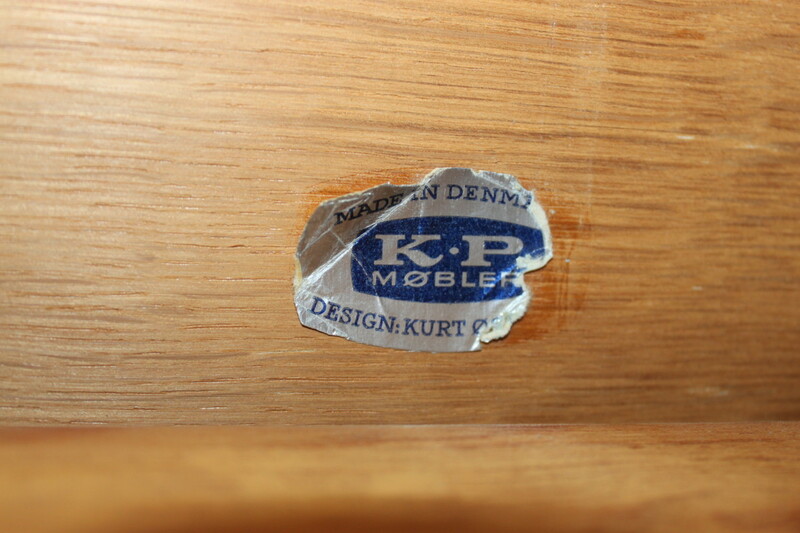 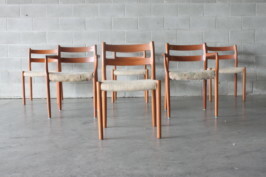 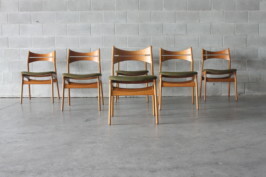 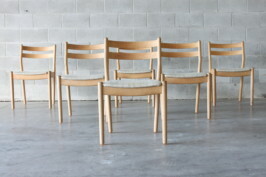 Pair this up with a set of 8 Moller #75 dining chairs for the perfect combo.